1. 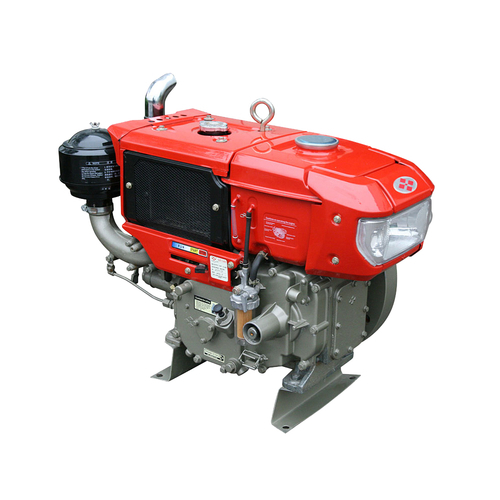 They have features of compact structure, light weight, high reliability and long usage life by adopting forged crankshaft and rigid cylinder liner and depending on international advanced new technique of single cylinder diesel engines and improved design. 2. They achieved low consumption and low displacement with its P type injector and improved combustion chamber and engine working procedure. 3. They can work more smoothly by adopting alloy steel helical gears, patent governing structure and double shaft balancing system. They can be used as a power of walking tractors, generating sets, water pumping sets, small farm machines and farm production processing machines, etc.